​Journey from Chicago to New Orleans to the sound of the blues, country, rock 'n' roll and jazz - a must for music lovers. This boutique hotel is 5 minutes’ walk away from Navy Pier. Shopping area and local attractions are also short walk away from the hotel. Guest rooms feature free Wi-Fi, flat-screen TVs, a minifridge and tea/coffee-making facilities. Other hotel facilities include a 24-hour fitness centre and a tour desk with local information. The Red Lion Hotel St Louis City Centre is situated in the heart of downtown St. Louis. With the historic flavour of this 1929 landmark the building combines it''s modern comforts to create a unique experience. Hotel facilities include indoor pool, dining room, sun deck and fitness centre. Bedrooms include private facilities. The Doubletree by Hilton Downtown Memphis is located in a great position within walking distance of many of Memphis' attractions. <br><br> Hotel facilities include a restaurant, bar, fitness centre and outdoor swimming pool. Bedrooms have private facilities, air-conditioning, TV, hairdryer, coffee-maker and iron. Today you'll depart on your scheduled flight to Chicago, the home of the blues. On arrival we'll transfer you to your hotel for a two-night stay. You're going to discover the best of Chicago today in the company of your Local Guide. They'll point out renowned museums, galleries and theatres, and the array of shops along The Magnificent Mile. They'll even tell you the best restaurants to try Chicago's famous deep-dish pizza! You'll learn about the devastating fire of 1871 and hear tales about America's best-known gangster, Al Capone, before visiting Millennium Park to see the 'Bean' sculpture. End your morning at the impressive Navy Pier on the shores of Lake Michigan, where there's free time for lunch or an afternoon cruise if you wish. There's a great night ahead, starting with a Champagne reception at 360 Chicago observation deck. The city's skyline is impressive at any time, but at night the skyscrapers become dazzling works of art and from here, 1,000 feet up, you'll get fabulous views. After this, we're going to head to an authentic blues club to enjoy an evening of live music together. We take to the road today and head to St Louis in Missouri. En route we're going to stop in Springfield, the state capital of Illinois and former home of President Lincoln. Your guided tour of the city includes entrance to the fabulous Lincoln Museum. This is no ordinary museum, here historical artefacts are combined with state-of-the-art technology to bring history roaring to life. The impressive Gateway Arch is the highlight of your sightseeing tour of St Louis this morning. Our next stop and our base for two nights is Nashville, the capital of Tennessee. In the country music capital of the world, of course the theme for today is music! Firstly, you'll enter Studio B, to stand where Elvis Presley and countless other performers recorded famous tracks. Next you'll see the vast collection of memorabilia that's on display in the Country Music Hall of Fame. There's one more exciting experience to come if you choose to join an optional excursion – an evening of live music at the Grand Ole Opry. You're bound for Memphis today, stood proud on the bluffs of the Mississippi River. The city is synonymous with Elvis Presley and during your sightseeing tour you'll visit the famous Sun Studios where he made his first recordings in 1954. The evening is yours to do as you wish. A stroll down Beale Street, which is lined by blues clubs and restaurants, comes highly recommended. If you had a late night, you'll relish a morning at leisure before a wonderful highlight of your tour this afternoon. We're going to head to Graceland, for a fascinating guided tour of the opulent mansion that was home to Elvis from 1957 until his death in 1977. As we head deeper south to New Orleans, we're going to stop at the beautiful Oak Alley Plantation. With temperatures rising, you're sure to enjoy the refreshing, bourbon-based mint julep cocktail that greets you. We'll then take a tour of the grounds and learn about the plantation's fascinating history. We'll arrive in New Orleans, the home of another musical genre, jazz, this evening. A morning sightseeing tour of the 'Big Easy' will help you to get your bearings. You'll see, and hear, the famous French Quarter, where jazz music wafts from beyond the doors of the numerous cafés and bars. You're going to experience another Deep South tradition later today, as you step aboard an authentic paddle steamer. 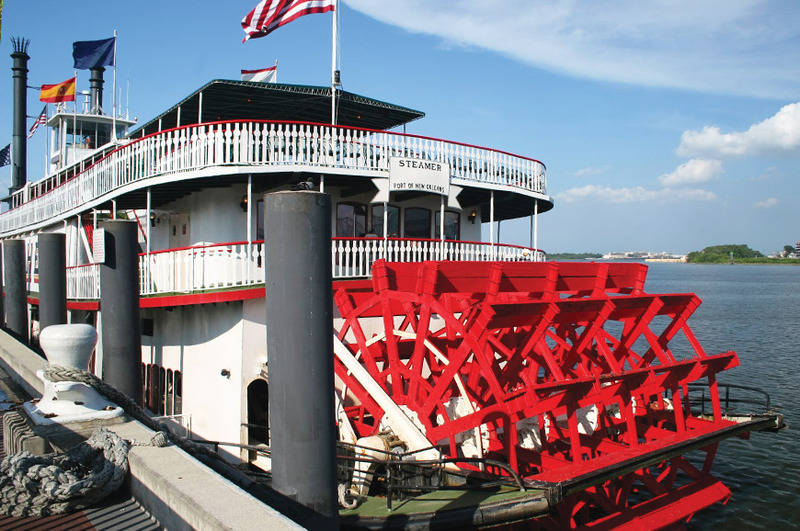 Your cruise on the Mississippi River includes lunch and music from a live jazz band. With so much to see and do in New Orleans you might want to spend the day exploring at your own pace. However, you can also choose to join an optional excursion to discover two sides of Louisiana, with a swamp cruise and a plantation visit. 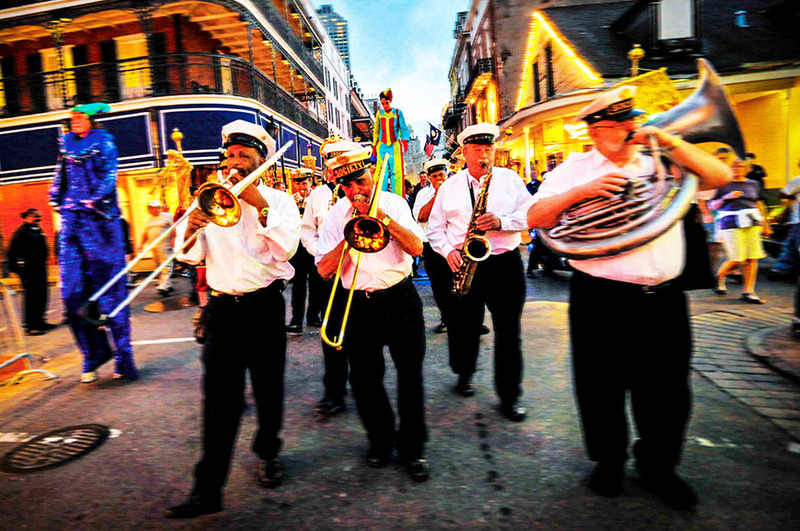 It's your final evening, so why not head off to Bourbon Street or Frenchmen Street to enjoy a drink and sample the music scene with the locals. The morning is yours to do as you wish. Later, we'll transfer you to the airport for your flight back to the UK. Please note: 2019 departures will include 2 additional breakfasts in Chicago, entry only at 360 Chicago observation deck and Paddle steamer cruise with lunch in New Orleans will be an optional excursion.